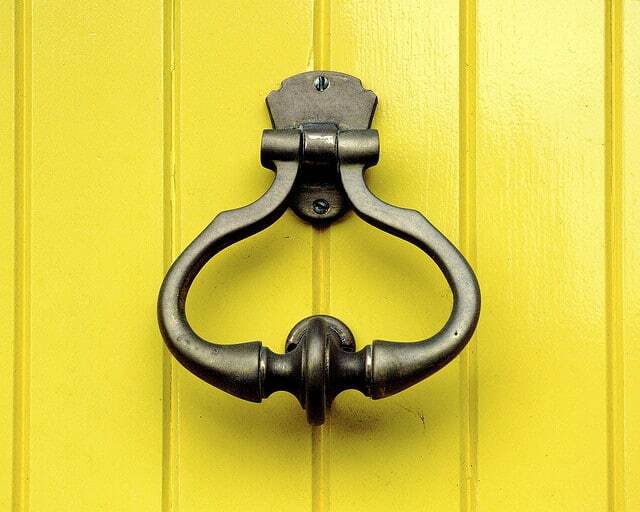 The hedonistic seaside town of Brighton is a melting pot of inspiration and romance. Artists, musicians and fashionistas alike flock to the region to explore their most creative outlets and the area is awash with a sea of dreamy days out. Here are a few ideas for your date! Everyone knows that the perfect first date involves laughter and good fun by the bucket load! 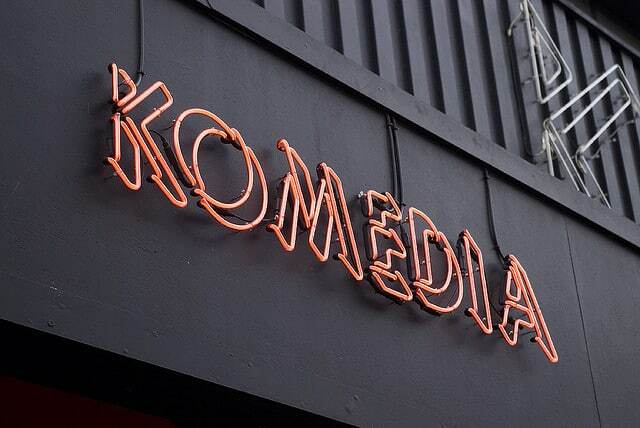 Get a helping hand by making a visit to one of Komedia’s comedy nights, where you can bond over your shared love for a laugh. The individual circle tables will ensure intimacy between the two of you, with food and drink served throughout the show. 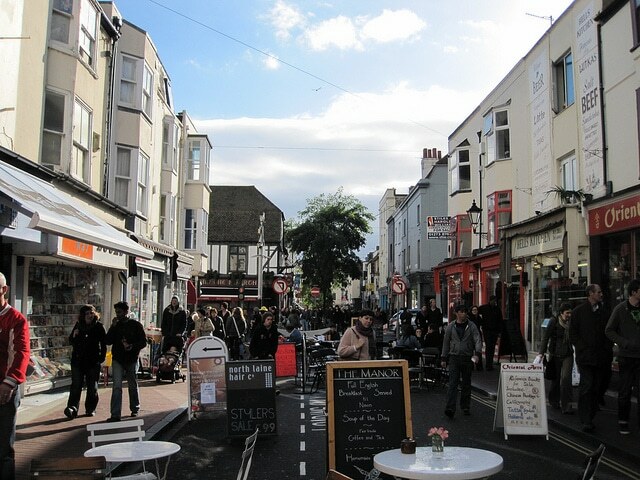 Brighton is a unique and vibrant city that is unlike any other and part of the charm comes from within the lanes. Winding roads that are bursting with independent coffee shops, record stores, charity and vintage shops and plenty of pubs. When a city is this interesting you don’t need to plan a set activity for a date. Simply browsing through the lanes will be a great idea as you’ll find there’s so much to see and talk about! Of course you’ll be spoilt for choice when it comes to picking somewhere to stop for a lunch or coffee break! 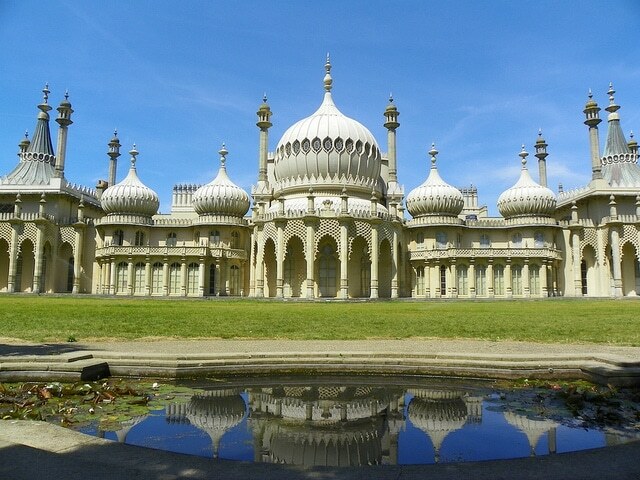 Ok, so when you live in Brighton, you probably see the Royal Pavilion every day – but have you ever actually been inside? Doing something ‘touristy’ in your own city is a great way to spend a date and the Pavilion can be super romantic! Built in three stages between 1787 and 1823 as an illicit love nest for King George IV, the Indian style pavilion has fabulously ornate and lavish interiors, with magnificent chinoiserie, magnificent columns, gilded dragons and an imitation bamboo staircase. Woo your lover with its grandiose charm! Indulge your wild side and take a trip just outside of the confides of the city to the beautiful rolling hills of the South Downs. 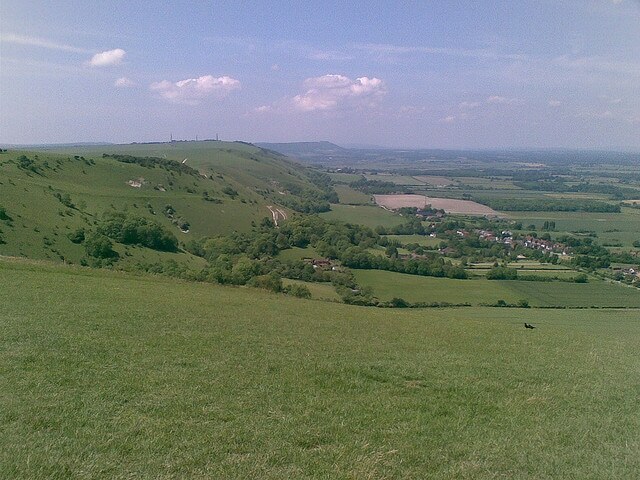 Just five miles out of Brighton, you’ll find the huge valley of Devil’s Dyke. Local folklore dictates that the giant dip in the hills is the work of the devil, digging a trench in an attempt to flood the city. Get your hearts beating as you climb the hills and feel like the only two in the world. Do you dare to visit? You might just miss this one if you’re not looking close enough, but set between two neighboring buildings in the lanes is a little yellow corridor, leading to a little yellow door. This is The Twisted Lemon. Once you’re inside, the room opens up to a warm, excitable atmosphere. The cocktail bar runs happy hours that are too good to miss and every cocktail is made with care and attention from one of the talented mixologists. Walk up the creaky staircase and you’ll find another seating area and for warmer days the cute patio area is the perfect sun trap! This characterful bar is one of Brighton’s secret spots and you won’t be disappointed. After browsing through the lanes, you deserve a well earned rest and the best place to stop for a refuel is The Mock Turtle. Another of Brighton’s secret treasures! 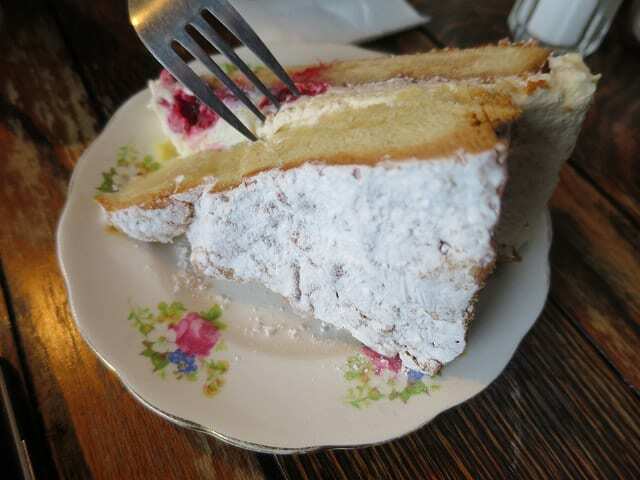 As soon as you walk in you will be overwhelmed by the display of homemade, indulgent and classic cakes. The tearoom is a tight fit, with vintage furniture filling the tiny room, it’s definitely an intimate setting. The menu offers cream tea, soups or sandwiches. This tearoom is such an amazing find you’ll want to keep it a secret! 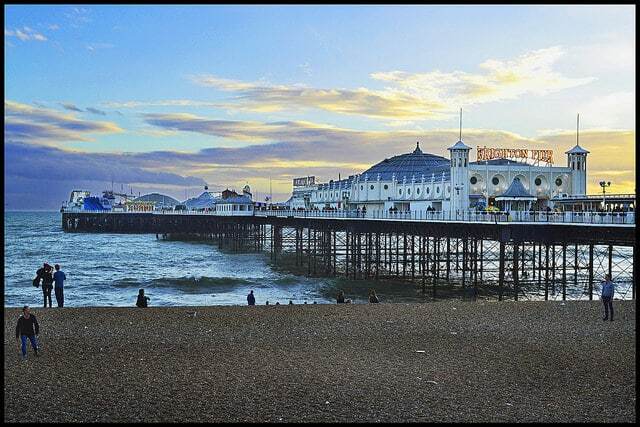 If you’re by the seafront, it’s only right you take a trip down to the famous Brighton pier. There are rides at the end that will certainly get your heart rate up if you’re feeling daring and a huge arcade that’s full of games that will be great for impressing your date and breaking the ice. The pier is scattered with interesting stalls and they have some deck chairs that make the perfect place to sit down and look over the beach. Whilst you’re there, you must try the famous pier doughnuts, they are irresistible! 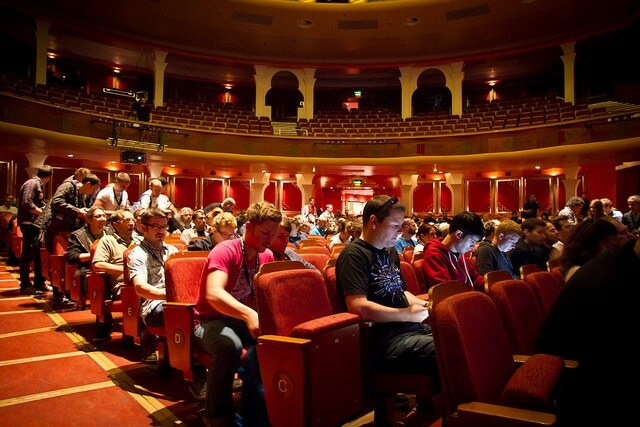 Brighton dome is a famous venue that’s known for attracting some of the best in the arts world to its stage. This stunning venue will wow you with the interior alone and the impressive bar will be a great place to get to know your date and discuss what you’ve seen. It’s based in a vibrant part of the city so you’ll find plenty of places to continue with your date when you’ve seen the show. 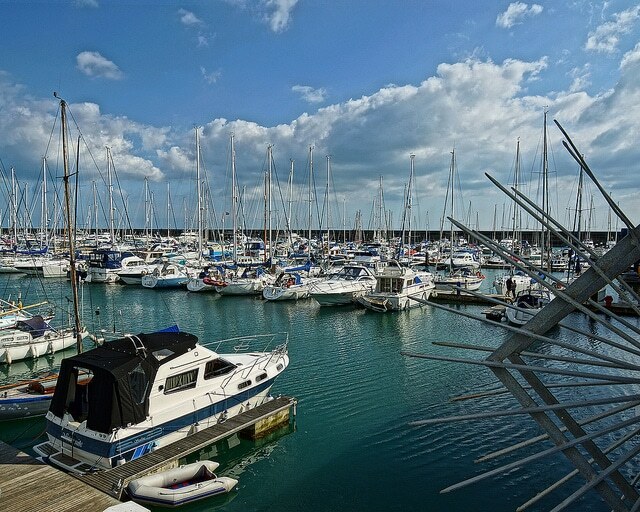 If you want a calmer setting but with all the charm of being by the seaside you should venture to Brighton marina. The marina is a self sufficient village itself and has a whole host of restaurants, bars, shops and markets. It’s a great place to explore on a sunny day and admiring the boats will have you entertained for hours! 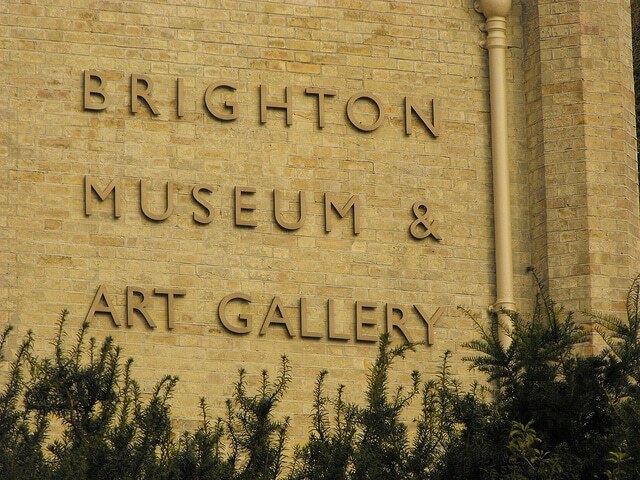 Checking out the museum and art gallery will be a great idea because Brighton is known for it’s creativity and you won’t be disappointed with that you come across. There’s plenty to see here, exhibitions, fine art, fashion, style, photography and so much more. Museum dates are always great because you have so much to look at there’s no awkward moments and even better you’ll learn something new too! 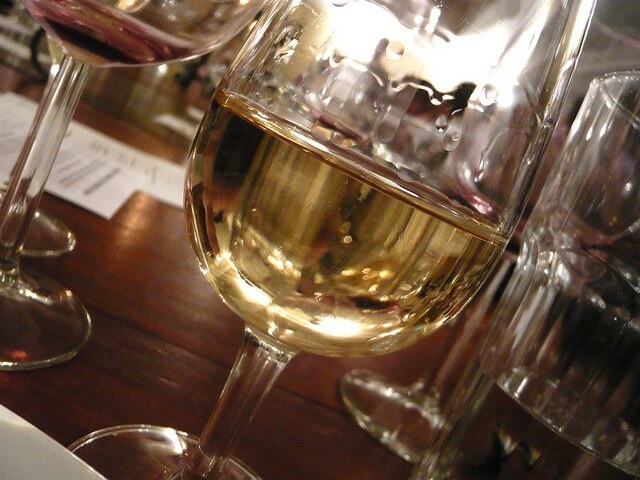 Wine tasting, in a cool, characterful bar. You can sit in the bar and relax with a glass of your favourite wine or if you’re feeling adventurous, why not try the wine tasting class? The friendly and extremely knowledgable staff will guide you through the wines based on what you enjoy the most but they will also widen your horizons by sharing some wines that you might not have across. Wine tasting is a great, fun and sociable date and Ten Green Bottles will definitely look after you.